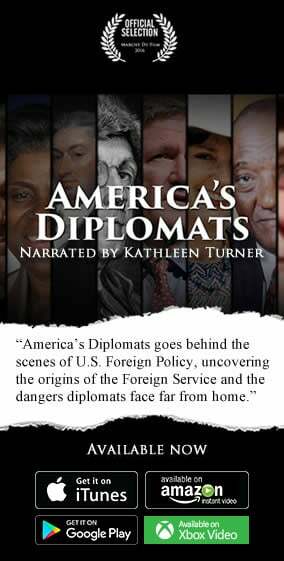 In Soviet mythology, the health of a country’s economy, national power, and influence in the world are directly linked to the performance of its oil and gas industries. The famous Russian gas project, Nord Stream 2, threatens to disturb the European Union family, emphasizing the contrasting interests of various EU nations. The Castro 10 vessel has already laid the first pipes off the German shore, spanning a total of 30 kilometers (18.6 miles), a 32 feet deep construction project expected to be completed in 400 days. 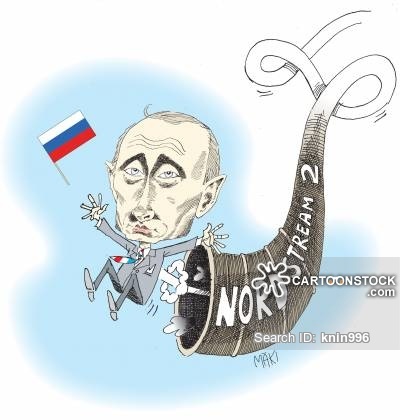 The case for Nord Stream 2, a project highly touted by Germany, is aimed at rearranging the Ukrainian route of Russian gas pipelines, an uncomfortable situation for Poland, Romania, Bulgaria and other Eastern European countries that are to lose transit fees and related privileges. Nevertheless, the original relevance of this pipeline is a political one, since it can bring Russian gas to Germany bypassing Ukraine and Poland, and magnifying German energy security and geopolitical influence. There are also economic reasons: with the doubling of Nord Stream’s capacity Eastern European countries such as Hungary or Slovakia which previously held significant influence in Russia-Western European gas transit, would find its influence dramatically reduced in the European gas game. Apart from the fact that Gazprom is the only supplier and a major shareholder in the $11bn Nord Stream 2 project, it is also headquartered in Zug, Switzerland which is known for being one of the most aggressive tax cutters among Switzerland’s 26 cantons. This fresh pipeline extension is being developed by five other Russian-European energy consortia , each of them funding up to 1 billion dollars each: Shell (Anglo-Dutch company), BASF (Germany), E.ON (Germany), Enti (France) and OMV (Austria). Even if Eastern European countries argue that the project contradicts the EU’s aim of diversifying energy sources, Germany is accused of ignoring that and promoting their own interests, as well as the values of a Russian energy addicted Europe. The Nord Stream 2 project calls for the laying of two pipelines with a total capacity of 55 billion cubic meters of gas per year from Russia to Germany under the Baltic Sea. Its first deliveries are expected in 2019, which corresponds with the expiration of the current agreements between Russia and Ukraine and in 2022 between Russia and Poland. This project is assessed as completely neglecting the interests of Poland as well as the unity of the European Union, especially within the context of Russia’s previous actions in Ukraine. To this global aspect is added a complex economic process: the Russian energy sector is monopolistic since the denationalization movement initiated by Putin and focused on Gazprom’s extension while the European gas sector was going through market liberalization and opening up to new players. This duality creates a situation that pits the concept of openness and competition amongst European authorities and the Russian gas giant on the other. The main counterpart that the Kremlin should concede in order to hope to take its share of the pie would then lie in two perspectives: an opening of the national market (hardly conceivable for its leaders) or accepting Russia’s monopolistic influence in a part of the Eurasian sphere, which seems more coherent but which would mean a disturbance by Moscow’s influence. Finding the right equilibrium is all the more challenging as over the next 20 to 30 years, the percentage of the European Union’s energy needs from imports will increase from 50% to 70%. Although divergent positions are relevant in the debate within the EU, European rules and laws seem to vary when it comes to the energy issue. The Nord Stream 2 project, in addition to the non-applicability of EU rules on free market and price transparency, goes against the European Energy Security Strategy presented by the European Commission in 2014, which primarily focused on gas security and the desire to reduce Europe’s dependence on Russian gas. The legal component of the European Council believe that the EU could violate the United Nations Convention on the Law of the Sea if it decides to apply its own rules to offshore pipelines. Additionally, as this is an underwater project, the legality of this project is completely determined by the United Nations Convention on the Law of the Sea, known as the Montego Bay Convention and in particular Article 79 pertaining to Submarine Cables and Pipelines on the Continental Shelf. The European Commission proposed last year to amend their EU gas directives so that an import gas pipeline cannot be owned directly by gas producers, that it doesn’t apply discriminatory tariffs and that it can be used by third parties. The Nord Stream 2 project, fully controlled by Gazprom’s monopoly, is far from respecting these different rules. By undermining incentives to develop new interconnectors and terminals, Nord Stream 2 will also make it more difficult for the EU to meet one of the main Energy Union objectives of completing the single market in gas. Trying to create endless diversification pipelines is anachronistic given the development of EU energy law and an increasingly integrated European gas market. Gazprom as a gas supplier cannot expect to control pipeline routes and isolate markets as it did a decade ago in a now increasingly liberalized European market. The legal framework is therefore perfectly clear and discordant to the European Commission’s claims. The European Union must respect the choices of its Member States with regard to their energy supply requirements. Whatever the legal aspect envisaged, the principle of subsidiarity is applicable. Consequently, the legal matter, concerning the regulatory aspects applying to the Nord Stream 2, can become, through its instrumentalization into the agenda-building process, an element of soft power for Poland. However, we must think in the long term. From the gas reserves on the Cyprus side, there will now be a European gas supply from the south. Turkey is likely to come forward, but it will rebalance Gazprom’s pre-eminence in the European energy supply market. It should also not be forgotten that 50 to 60 billion cubic meters of natural gas is produced annually in Algeria and Tunisia . We must find a fine balance between being able to ensure agreements with major turbulent neighbors such as Russia, rather than leave it isolated and uncontrollable, while ensuring European energy independence.